This week was immersed in the theme of ‘’SIFTING THROUGH SCIENCE’’ . Ilyes and I introduced campers to physical properties. 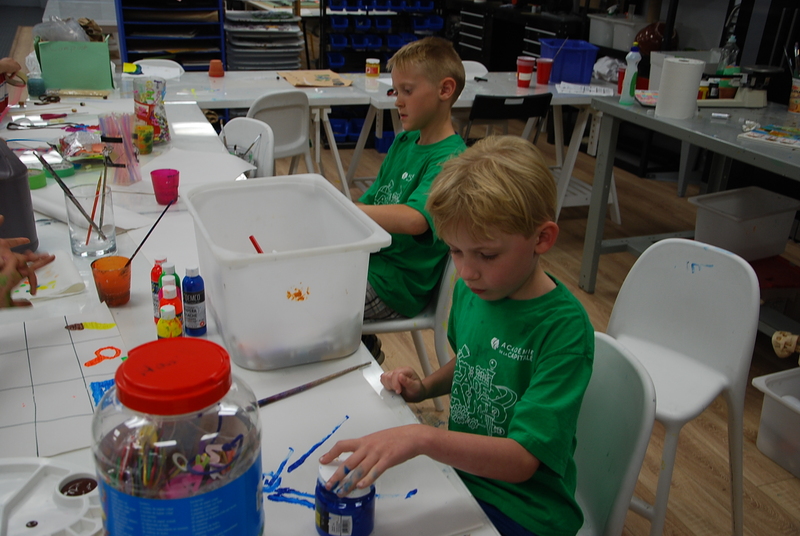 Campers learned how to characterize substance by their shape, color, size, and texture. They investigate other physical properties such as solubility and insolubility, opacity and transparency. Campers poured ¼ cup of salt with 1 cup of water and they noticed that the salt was becoming thinner and was disappearing as soon as we added water. But when we try the exact same experiment using beads made of woof instead of salt, nothing happened. Conclusion: Salt is soluble, wood is not! As well, I put one bead in a coffee cup and another one in a glass of water (empty) and I asked campers to tell me what observations they make. The answer: you can still see the bead throughout the glass of water (Because it’s transparent) but you can’t throughout the coffee cup. Finally, in order to investigate the weight of object, our campers built the heaviest object they could, and we used a scale to measure them. I don’t know how they did that, but all constructions they made, had the exact same weight! It was kind of funny. Futhermore, we identified the eight planets of solar system and campers painted amazing masterpiece of what solar system might look like. No Comments on "Sifting Through Science"